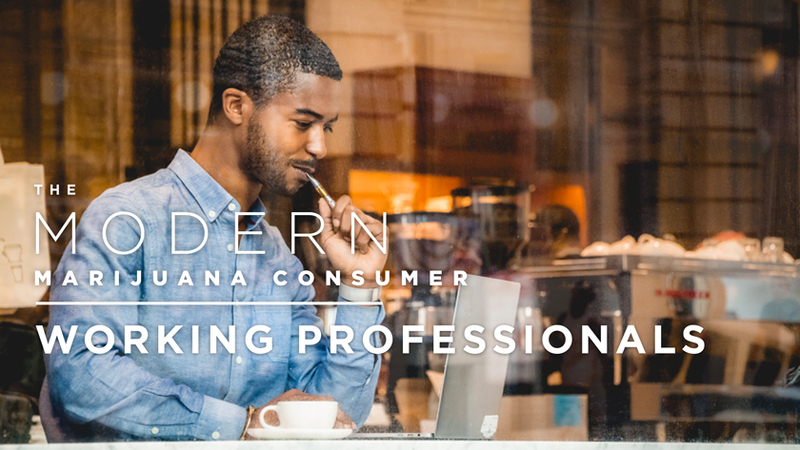 Modern marijuana consumers span a wide variety of backgrounds, professions, and lifestyles. 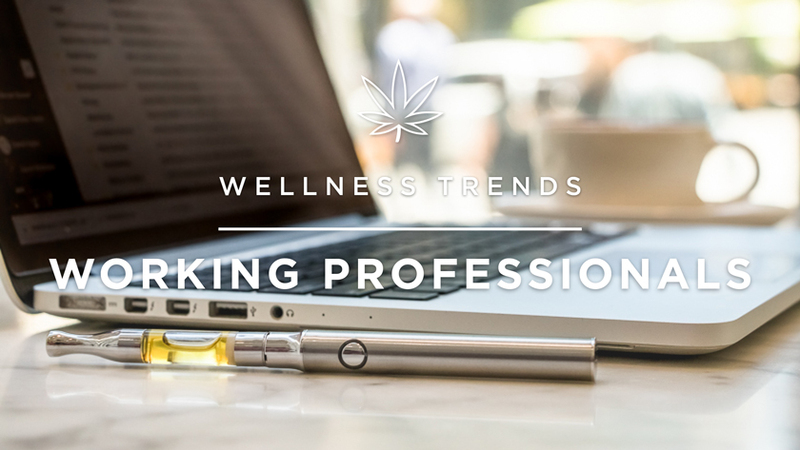 In this report we explore three emerging segments of cannabis consumers: women, parents, and working professionals. Despite the recent victories in marijuana legalization, cannabis use still carries a stigma among some Americans. This study tells a new story about the thousands of people who consume cannabis daily. 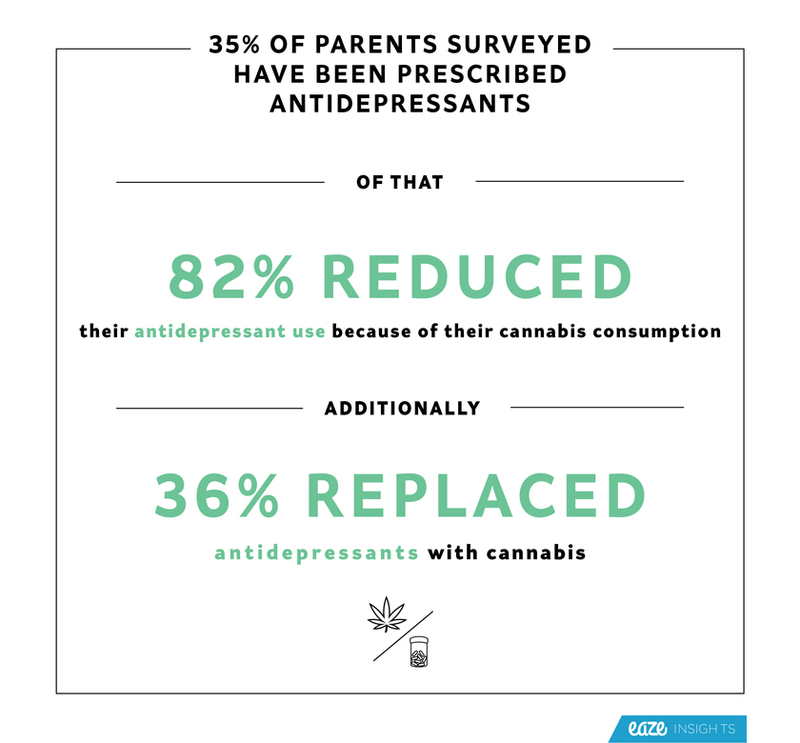 What they have in common is a propensity to reduce or replace alcohol and pharmaceutical consumption to find natural relief and enjoyment from marijuana. 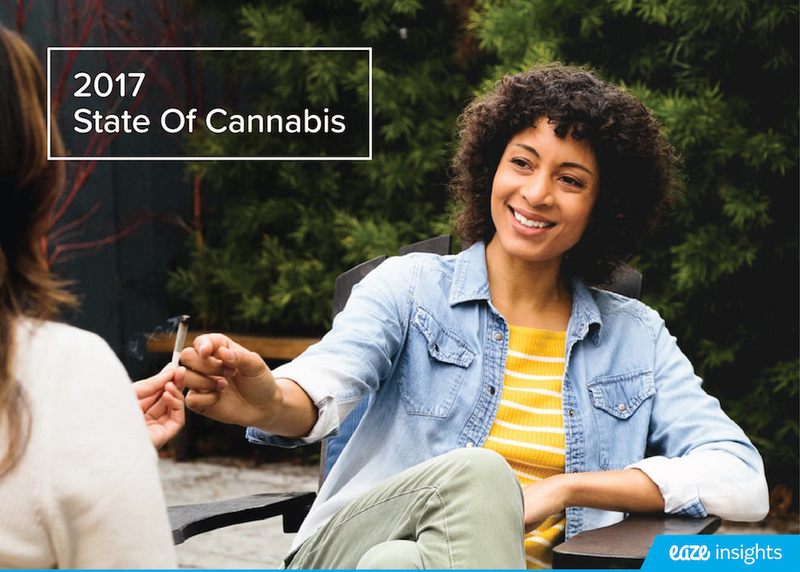 More than 10,000 cannabis consumers responded to a 32 question survey sent via email over a week. 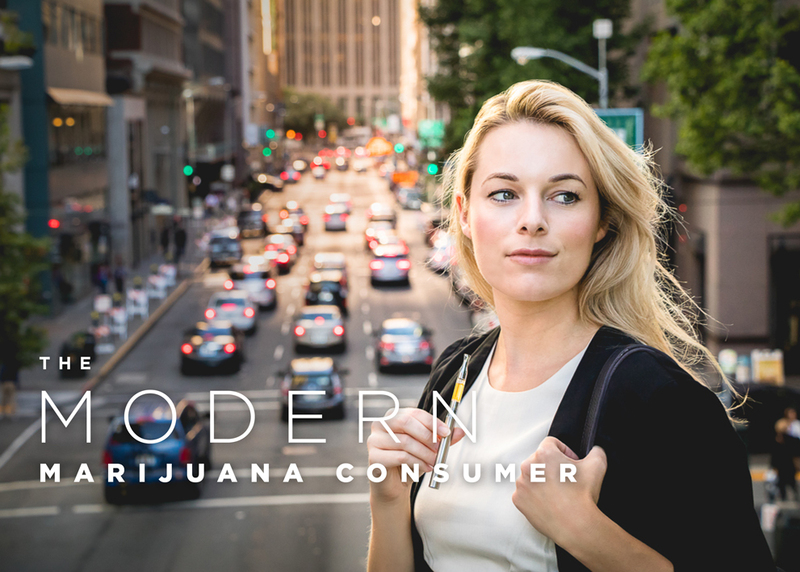 The following breakdowns give a glimpse into the profiles of the thousands of modern marijuana consumers who participated in the study. 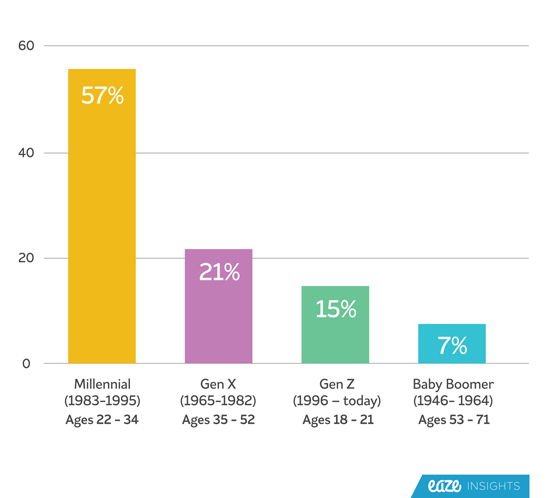 The majority of respondents are Millennials, followed by Gen X, Gen Z, and Baby Boomers. This breakdown is consistent with the current Eaze customer base. 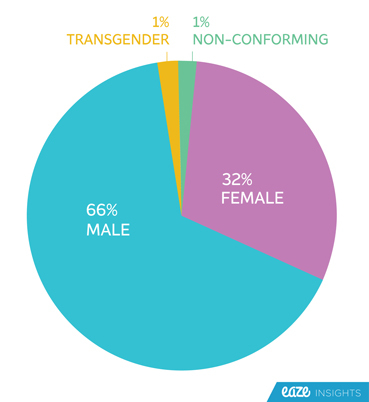 The gender breakdown of respondents is consistent with current Eaze customer demographics. 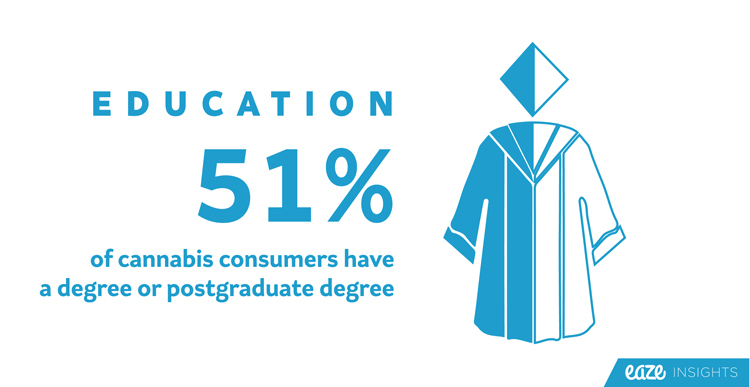 51% of cannabis consumers surveyed have a college or postgraduate degree. This is significantly higher than the state average within California; according to census data, only 39% of adult Californians have a Bachelor's degree or higher. 91% of respondents are employed in a variety of industries. 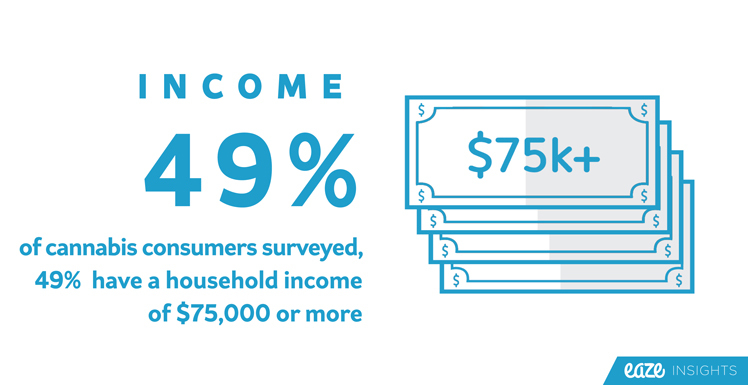 Out of the cannabis consumers surveyed, 49% have a household income of $75,000 or more. 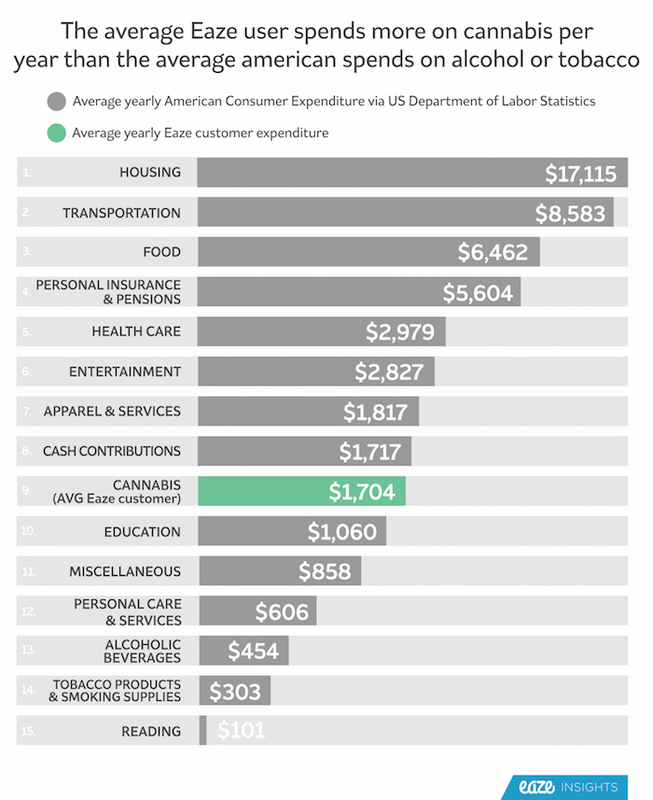 The most common income bracket, at 16% of total responses, was $100,000-$149,999. 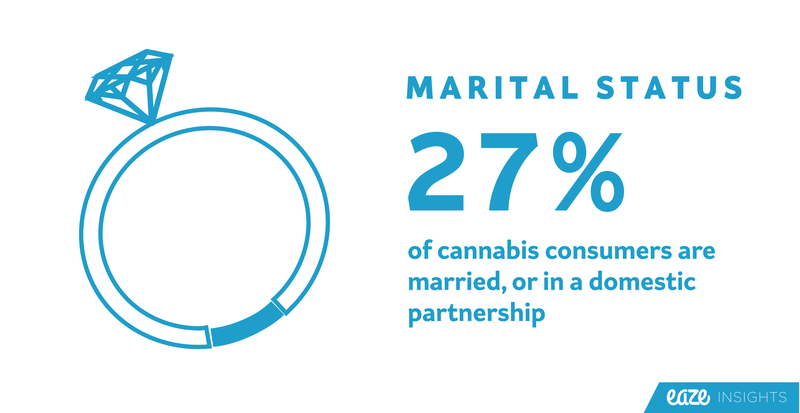 27% of consumers surveyed are married or in a domestic partnership, while 66% reported themselves as single and never married. 1 in 5 respondents (22%) are parents. 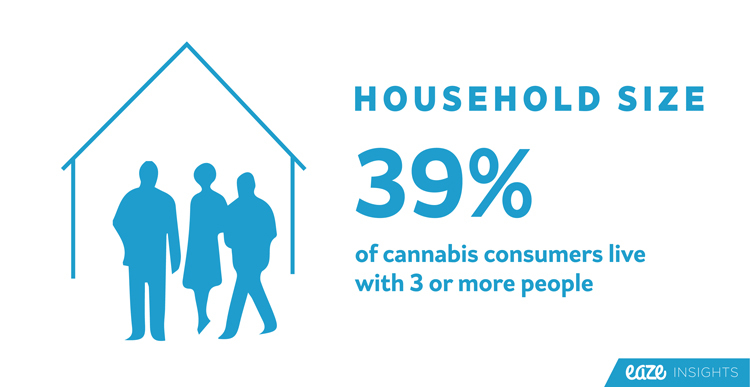 39% of marijuana consumers live with three or more people, while 26% of respondents live alone. 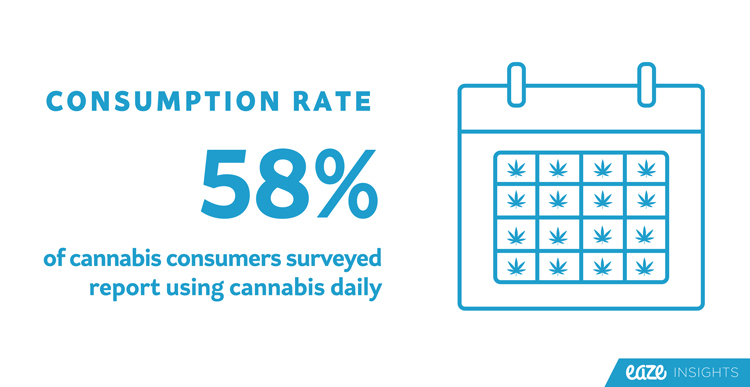 58% of respondents report using cannabis daily. 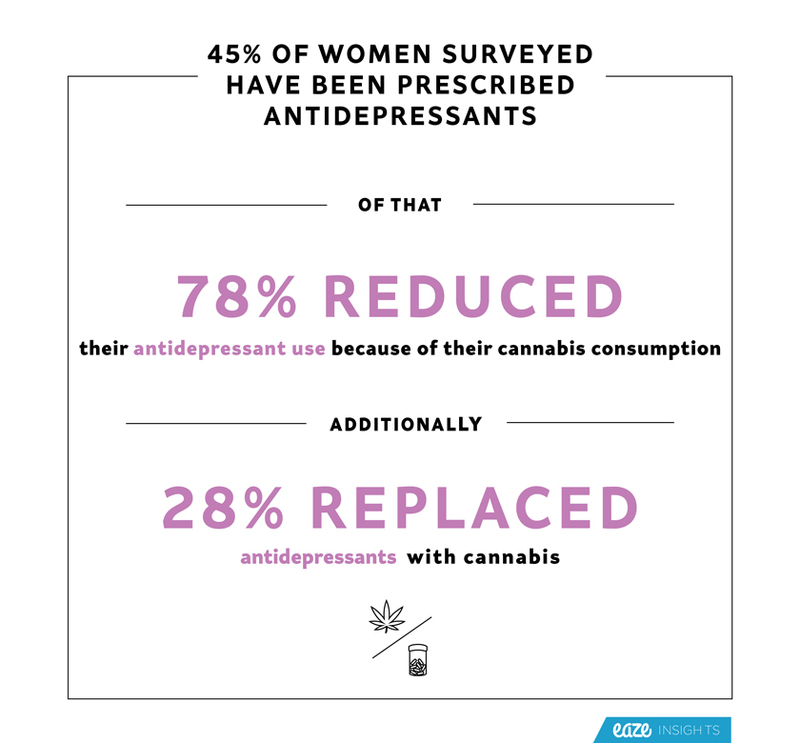 This is unsurprising - the vast majority of consumers (69%) self identify as primarily medical users, as opposed to recreational. 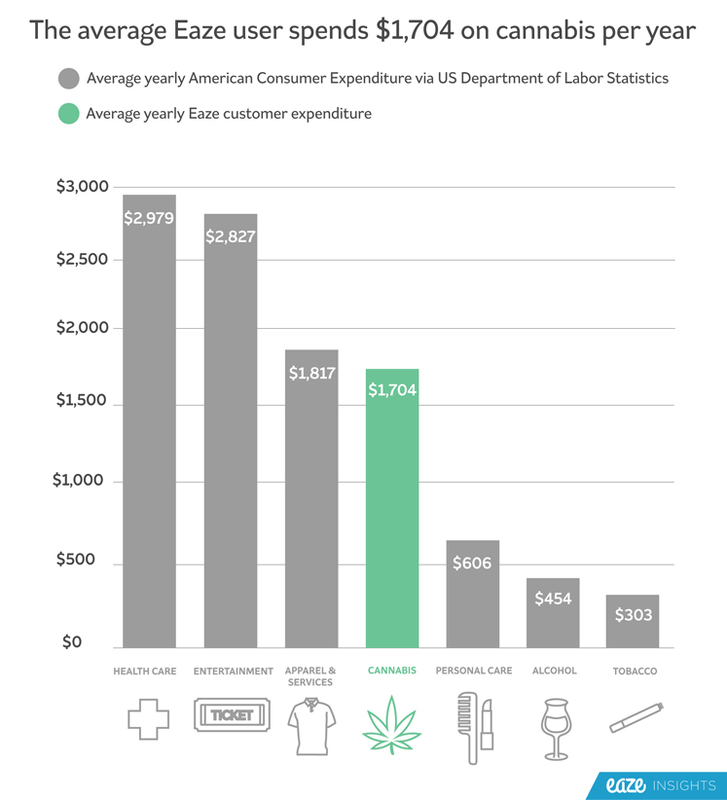 We compared the most recent yearly expenditure data from the United States Department of Labor statistics to our survey respondentsand found that the average Eaze customer spends more on cannabis per year than several large categories combined. Swipe through the charts below to learn more. 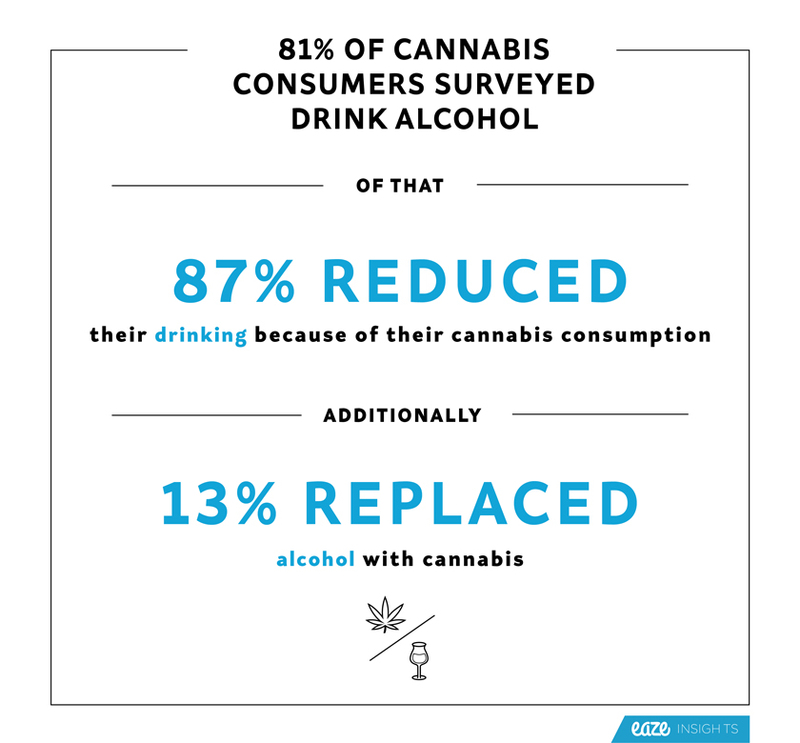 Nearly all respondents currently consume alcohol (81%), but 4 out of 5 people (87%) have reduced their drinking because of their cannabis use, with as many as 1 in 10 (13%) replacing alcohol with cannabis entirely. 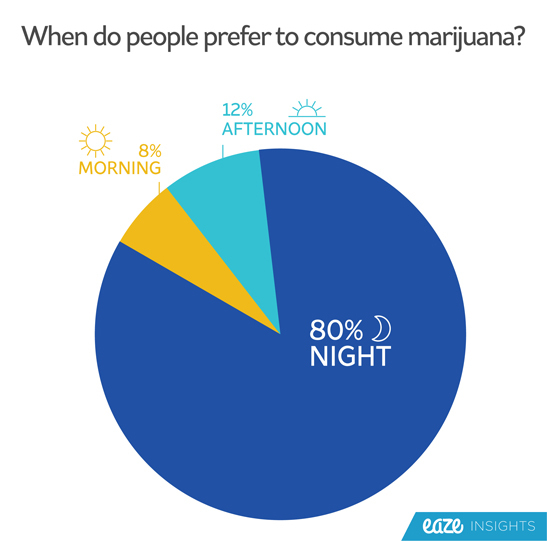 We've also found the vast majority of consumers (80%) primarily consume cannabis at night, consistent with the time when many reach for a glass of wine or beer. 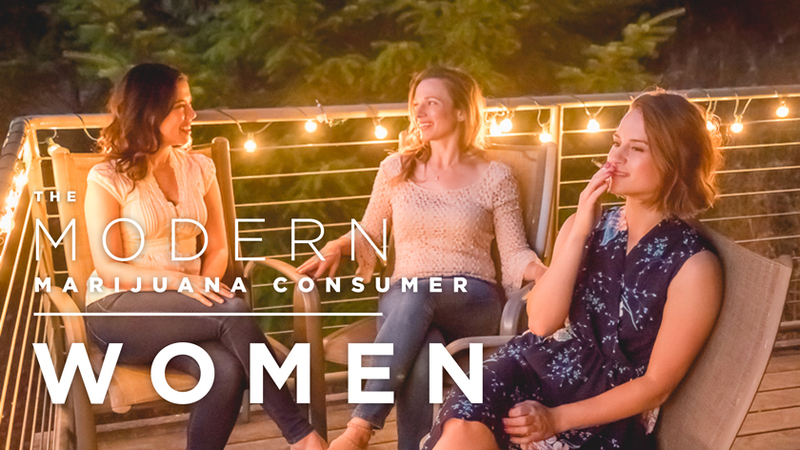 Women are one of the fastest growing consumer segments in cannabis. 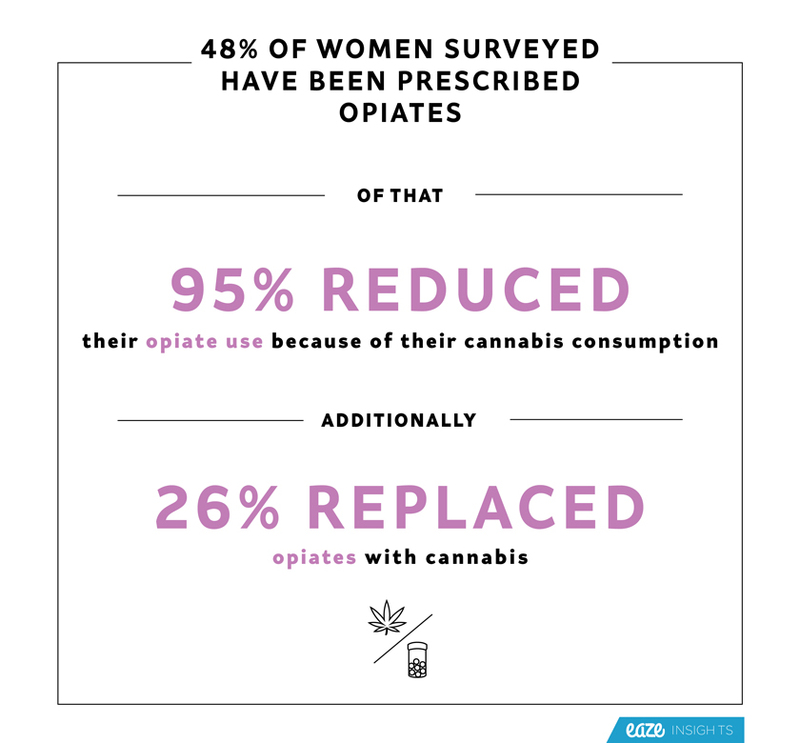 This survey gave us unique insight into the consumption behaviors of the women who rely on our service. 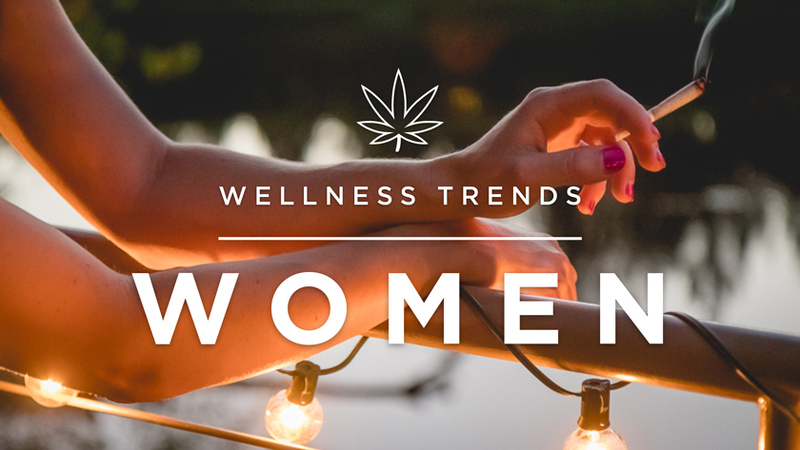 Our purchase data indicates that females are the early adopters of new cannabis products like topicals and tinctures. However, flower (cannabis in its dried form) continues to be the most popular category even as vaporizers and edibles become more mainstream. 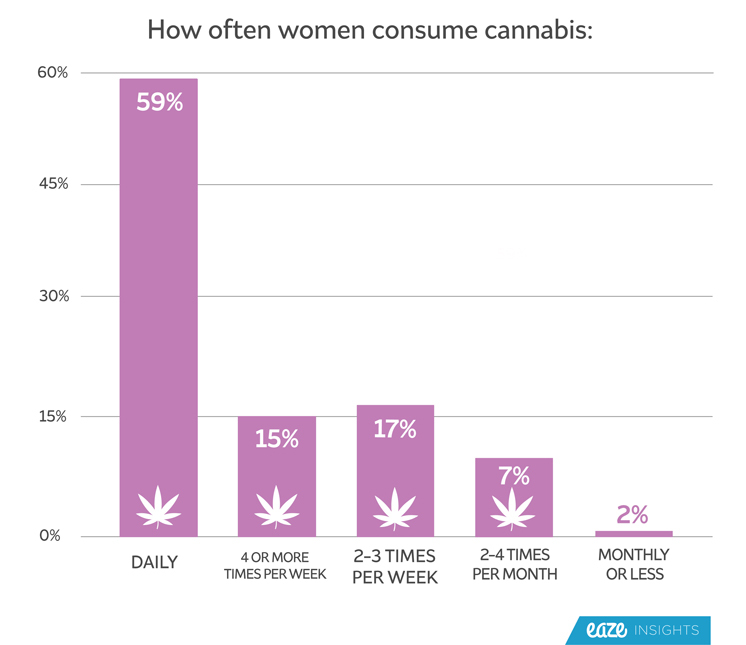 The chart below illustrates how women prefer to consume flower and how many do not. Increasingly, cannabis is being used as a key component in health and wellness regimens, commonly referred to as "self care." 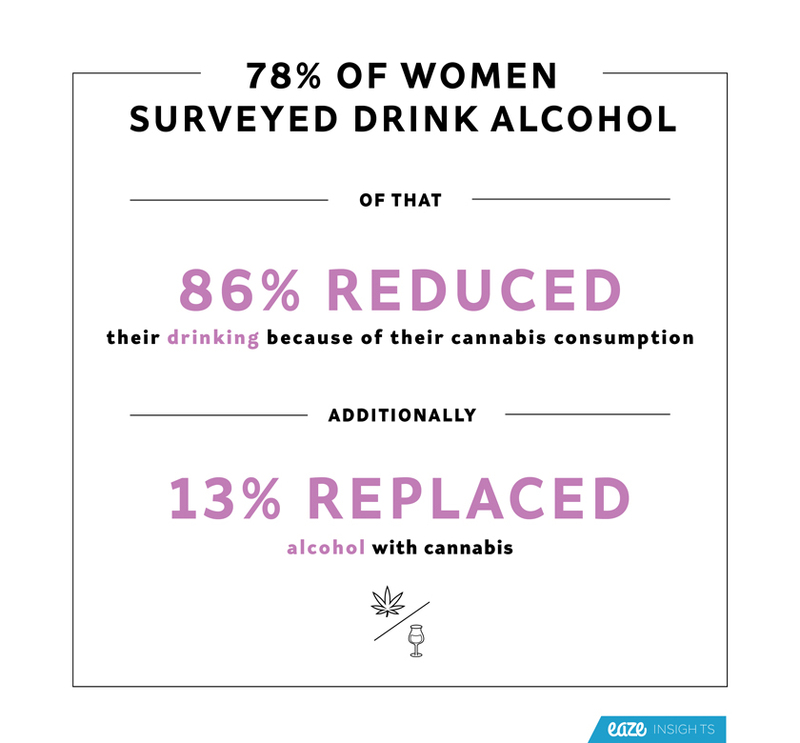 The data shows women are turning to cannabis to reduce or replace their consumption of alcohol, prescription opiates, and antidepressants. 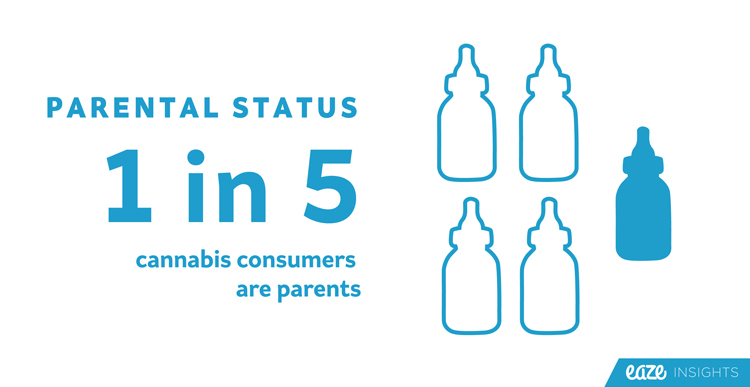 We took a closer look at parents on the Eaze platform and found that they are among the highest population segments who consume marijuana daily. 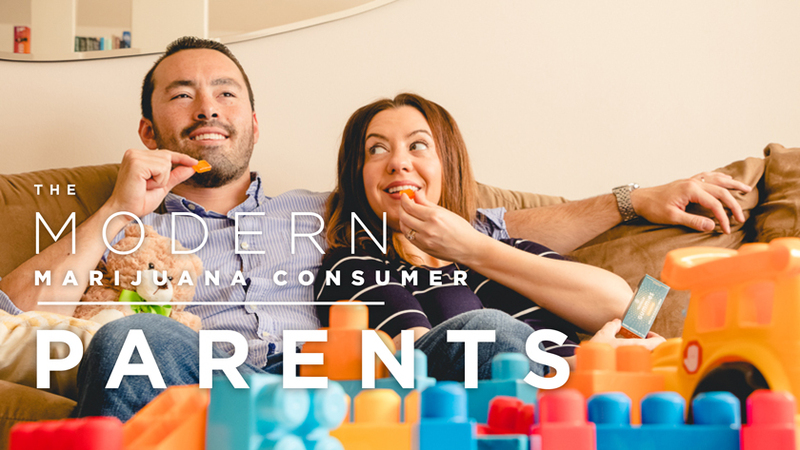 This survey gave us an opportunity to understand the consumption behavior of the parents who rely on our service during their busy lives. 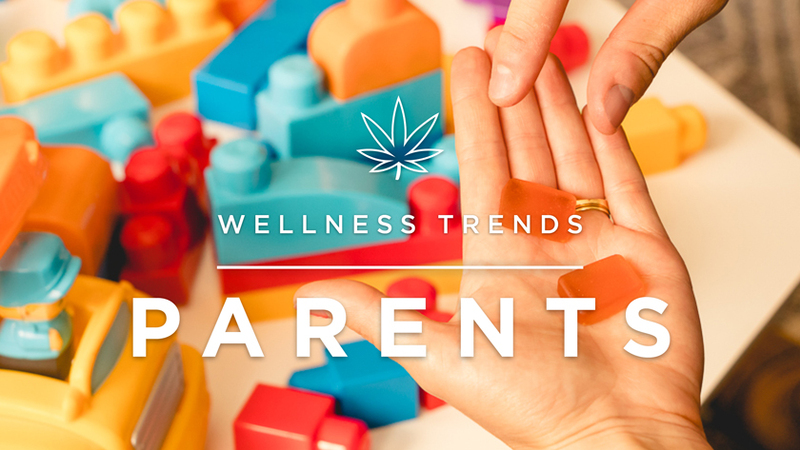 The vast majority of parents (91%) either smoke or vaporize cannabis flower. 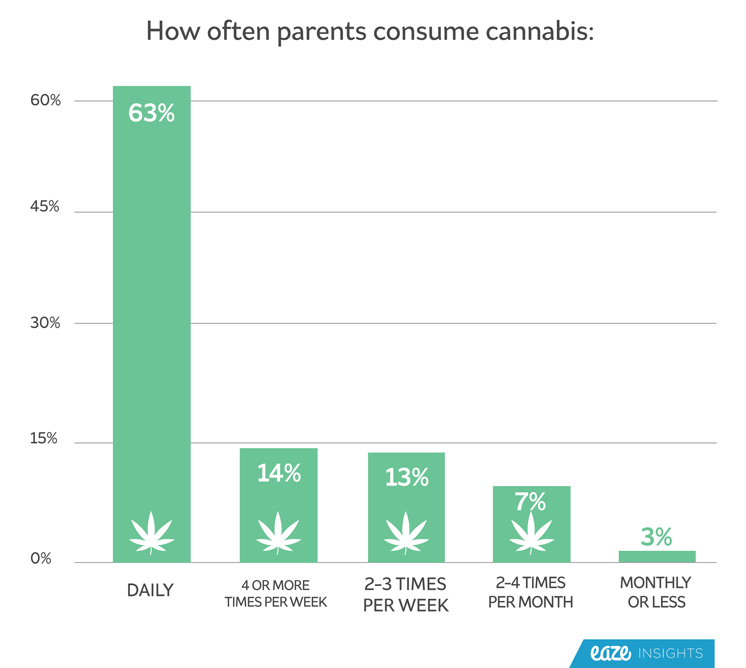 Having kids does not significantly impact flower consumption. 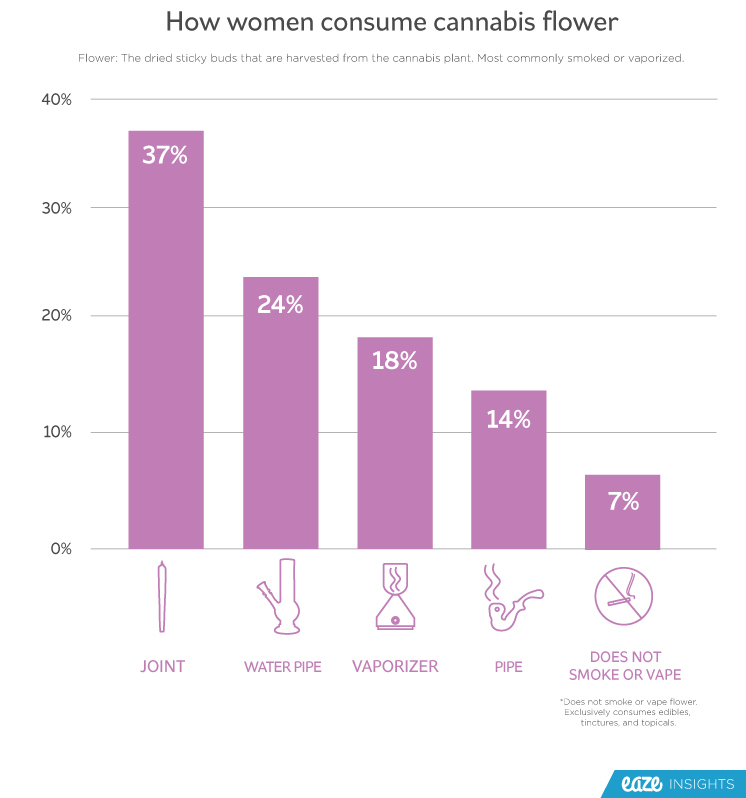 It is worth noting that vaporization is most popular among parents when compared to other segments in this report. 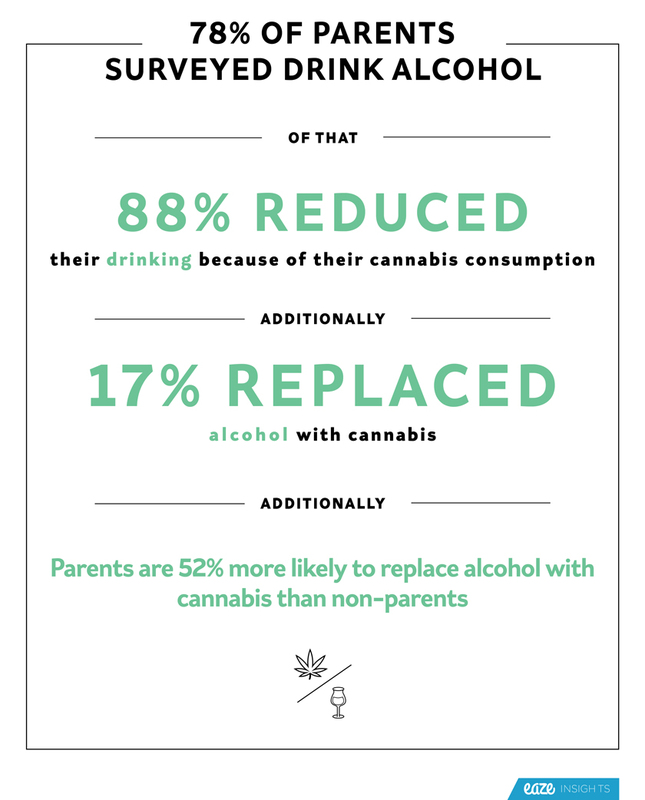 Parents are an astounding 52% more likely to replace drinking alcohol with cannabis when compared to non-parents. 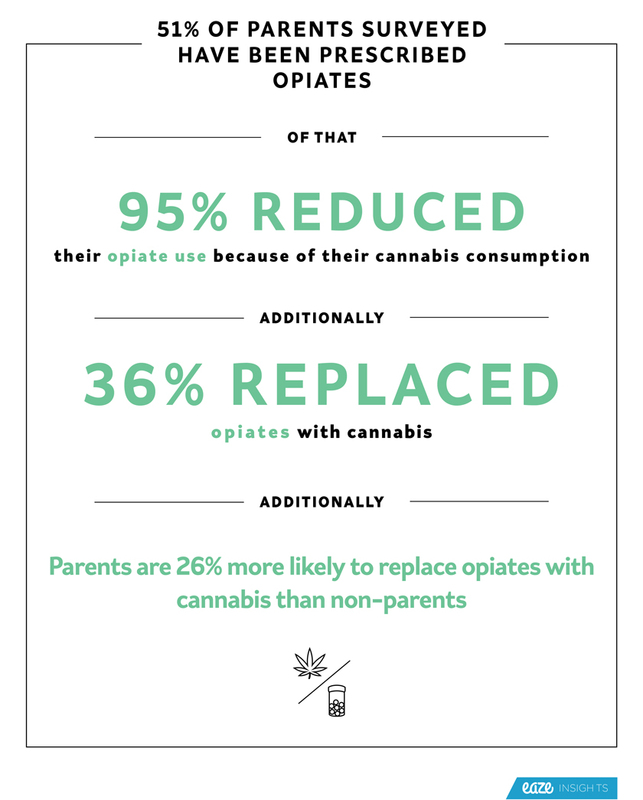 They are also 26% more likely to replace opiates than non-parents. 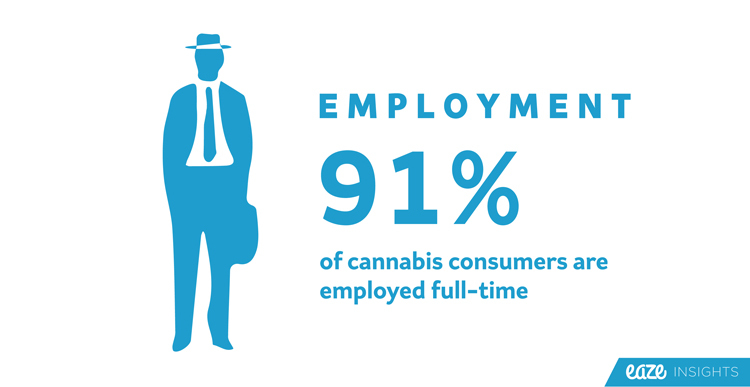 The majority of cannabis consumers employed full-time consume cannabis daily (58%). 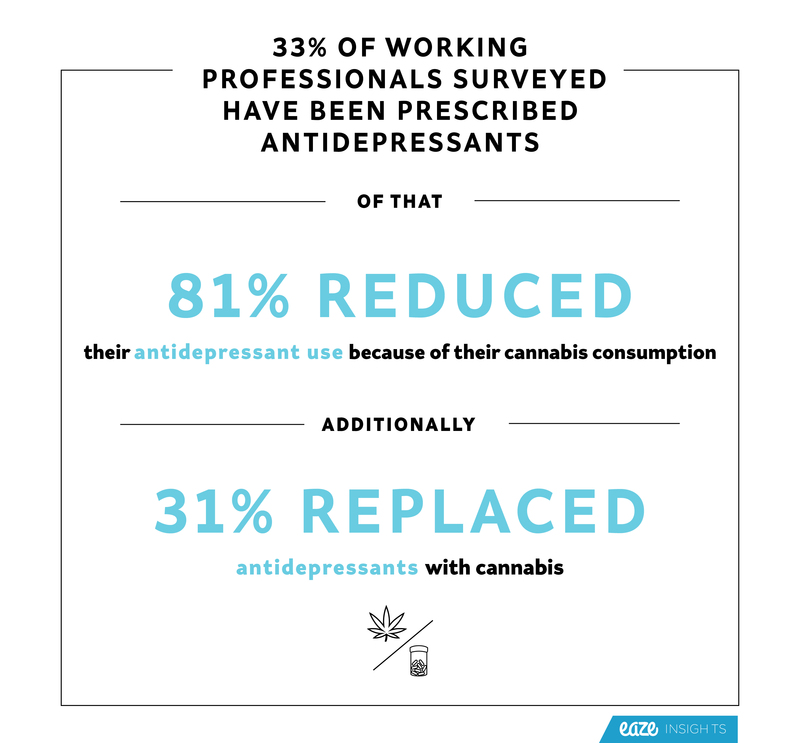 The survey also revealed that the majority of respondents consume at night leading us to believe that cannabis is becoming an essential part the working professional's post-job wind down. 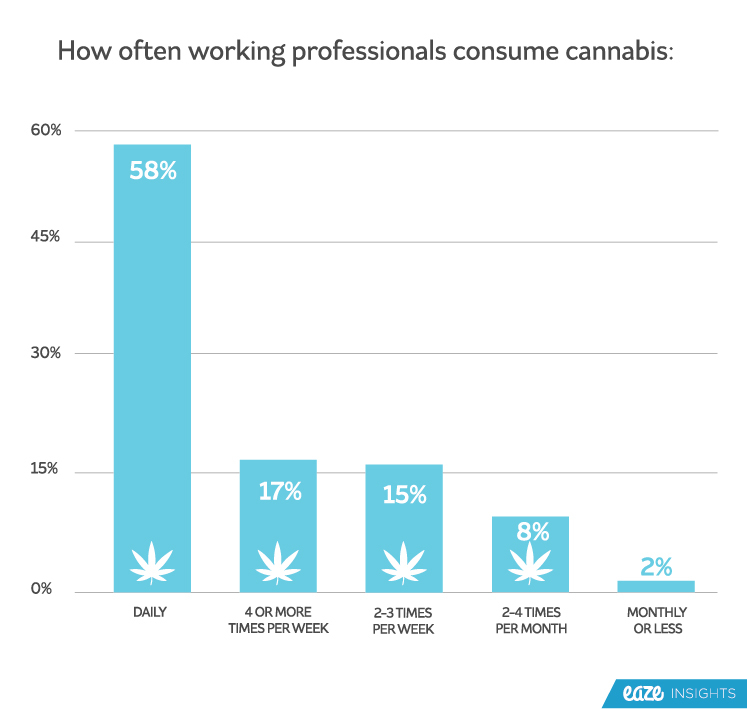 We find daily cannabis consumers in a variety of industries. Here are the top five as reported by our respondents. A third of working professionals partake while on the clock. 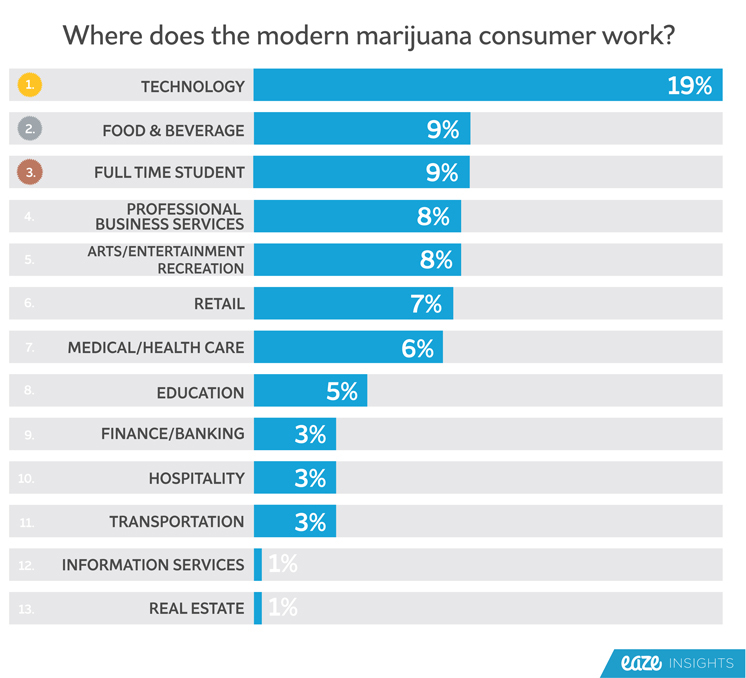 Check out the graph below for a breakdown of the top 5 industries where people report consuming marijuana on the job. 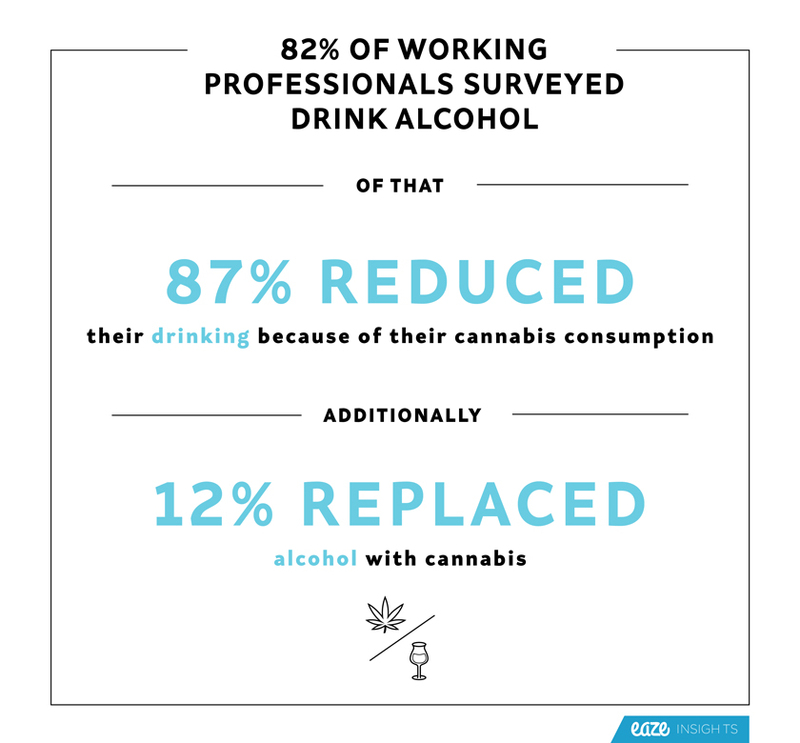 About 1 in 5 people (19%) who work in the food & beverage industry consume cannabis while working. They are followed closely by tech workers at 17% of respondents. 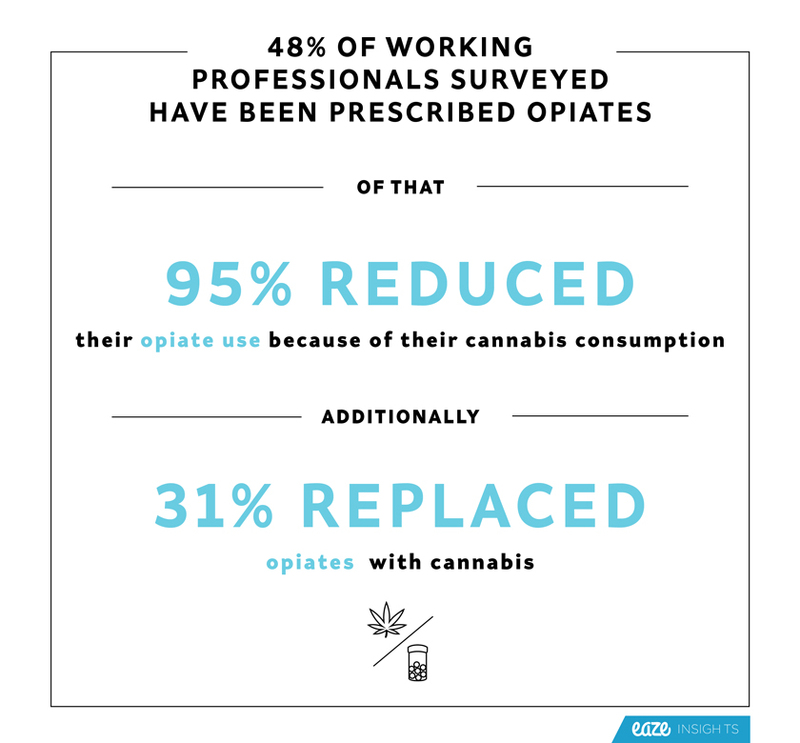 Working professionals are consuming cannabis on the job and presumably replacing prescriptions with marijuana, in addition to cutting back their alcohol use.